Florida Assisted Living and Nursing Home Placement | DeLoach, Hofstra & Cavonis, P.A. Life Care Planning recognizes that you and your family need help navigating the long-term care maze. When you or your loved one is facing imminent long-term care, dementia or other age-related concerns, our Life Care Planning practice combines asset protection, estate planning and care coordination to answer all of your and your family's concerns. With a Life Care Plan, you receive the right care sooner, maximum independence for as long as possible, and the ability to age with dignity. Your family gets help finding the right care and services; guidance with legal, health care and long-term care decisions; and peace of mind knowing you are secure. With our local knowledge, we know the local facilities that provide the best elder care. 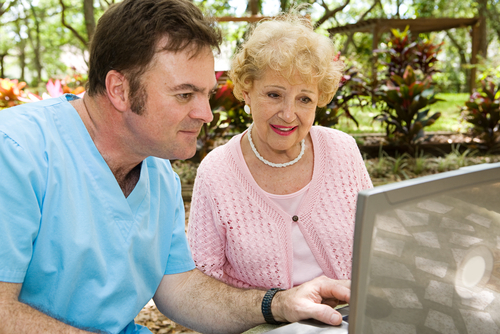 Our medical staff will help you choose the right elder care facility based upon the elder’s specific needs. We will help bargain with the facility to provide the best option at the best price. Our planning helps coordinate possible government benefits to help pay for their stay. You don't know the right questions to ask. You don't have the amount of time necessary to research. The average cost of a nursing home in Florida exceeds $7,000.00 per month. Asset protection options exist, even if your loved one is already in a nursing home. You are not allowed to give money away within five years of a Medicaid application. The right planning may allow you to leave an inheritance to your children. There are no magic bullets to protect your assets; each situation is different. You can look around St. Petersburg, Seminole, and Pinellas County and you would be hard-pressed to find a law firm that provides the level of service that we provide.Very few elder care law firms actually include medical staff that is ready and available if you have concerns about your medical care. We've gone out of our way here at DeLoach, Hofstra & Cavonis, P.A. to make sure that we have team with all of the skills necessary to take care of you every step of the elder journey. Call today at727.397.5571 or contact us online any time.